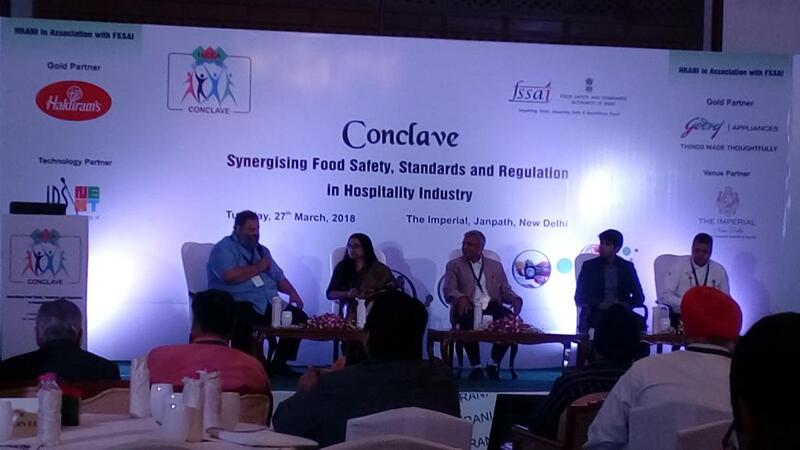 A new initiative by the Food Safety and Standards Authority of India (FSSAI) will ensure that caterers and the hospitality industry provide safe food to consumers, officials said at a recent meeting. “Save Food, Share Food, Share Joy” was launched by the FSSAI last December. It aims to promote food sharing among consumers and food businesses in India, while also targeting the coalition of food collection partners in the country to fight the issue of hunger and preventing food loss and food waste. Under the initiative, a platform called the Indian Food Sharing Alliance (IFSA) creates a network of food collection agencies and brings together citizens, food businesses, corporates, civil society organisations, volunteers and government and local bodies in a coordinated manner to prevent food being lost or wasted throughout the supply chain, from initial production down to final household consumption. “We all are aware that lot of food is wasted in the supply chain. But on the other hand, during research on food wastage, it was found that restaurants and hotels mostly have alternative ways to use the left-over food. Only in certain circumstances like marriage parties and buffets, when the number of people present is lesser than specified, do restaurants report food wastage,” said Pawan Aggarwal, Chief Executive Officer (CEO) of FSSAI at the meeting hosted by the Hotel and Restaurant Association of India (HRANI) in New Delhi. Representatives of food bank organisations were part of the panel discussion. Hotel and food bank representatives expressed various concerns at the meeting. Hotels were concerned as to how food would be handled after it reached food banks. On the other hand, Vandana Singh, CEO of Food Security Foundation (India), said that there was no infrastructure to store food like cold storages. Transportation involved during food collection was also not sufficient. In response, FSSAI officials said as per the initiative, they would standardise and regulate the process of food collection as well as what was to be done after the food was collected. For instance, under Food Safety Training and Certification (FoSTaC), FSSAI has made it mandatory that all the licensed food businesses must have at least one trained and certified food safety supervisor for every 25 food handlers in a catering premise. Hotel/restaurant officials can come forward to be trained for this role. “The draft notification for the same has been done and it will be made mandatory in one or two years time,” officials told Down To Earth. The other measure under the initiative is a “hygiene rating”. Key aspects of the hygiene rating include food security supervisor training, food safety display boards, self-compliance, and regular audits to restaurants. To have a hygiene rating, restaurant authorities should perform an e-self-assessment, which would be cross verified by FSSAI officials. There is also a provision where the history of such assessments can be viewed depending upon the previous credentials. FSSAI officials would provide a rating sticker. Above three would be good and preferable while below two would be very poor. Aggarwal said that the rating would encourage good competition between hotels to maintain their hygiene standards while helping consumers to make informed decisions about restaurants.